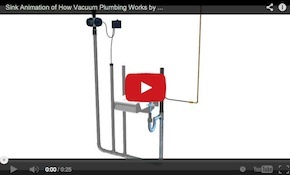 When the push button is activated, the extraction valve opens, allowing atmospheric pressure to push waste into the vacuum piping and toward the vacuum center. A water valve is simultaneously activated, allowing the toilet to be rinsed and refilled. 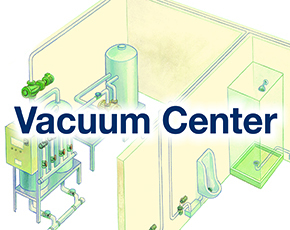 The Vacuum Center includes vacuum pumps, waste collection tanks and controls that automate the operation of the system. Waste is delivered from fixtures and equipment to the Vacuum Center waste collection tanks via the vacuum piping network. 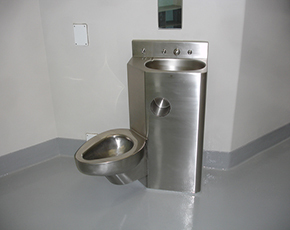 Waste is temporarily held at the vacuum center before being discharged to sanitary sewer mains or treatment facilities. 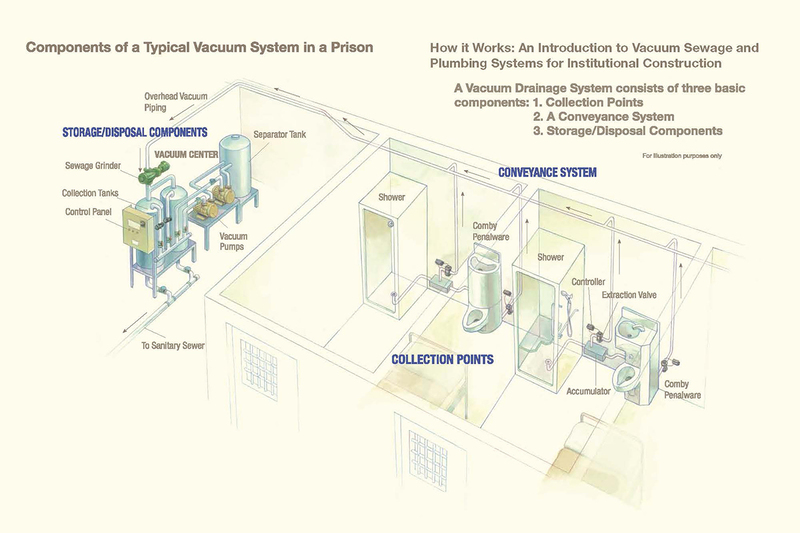 The vacuum system may also include sewage grinders and discharge pumps to transfer waste from the collection tanks into the sewer.